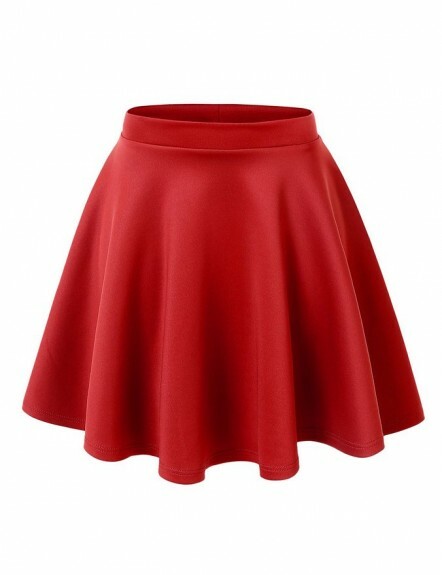 A lot of women prefer wearing skirts and many of them are crazy about red skirts. There are few women that are a little worried about the red color. Red has a very wide range of shades from pale red to rich red. The color red symbolizes love, courage and a lot of passion. 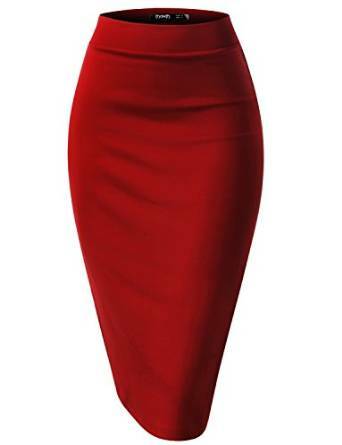 If you know how to match it, a red skirt can be worn on many various occasions, being very versatile. Another aspect is to follow your personal style. 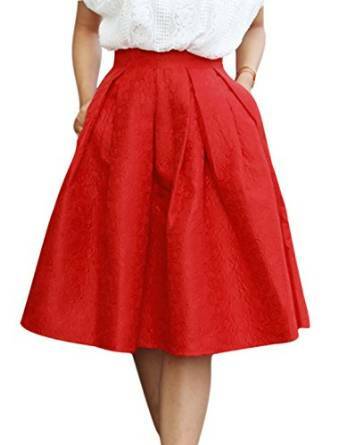 Indeed, the bright side of wearing a red skirt is that it can be worn no matter your personal style. Whether you love to dress boldly and sensual or on the opposite you have a more conservative style, a red skirt into your closet can save your day. The red skirt is easy to match even when going at work. If your company’s dress code allows you to wear this color, then it is just perfect. It only depends on your inspiration to find the best combos. 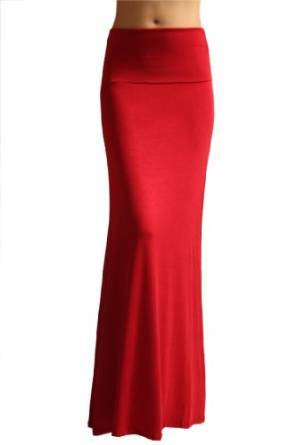 The red skirt can be a maxi skirt, a denim skirt, mini skirt, midi skirt or pencil skirt. As you can see there are many models for all tastes and styles. A red skirt can be a solution for any trendy woman.